The Best of the Best Places to Retire in the U.S. 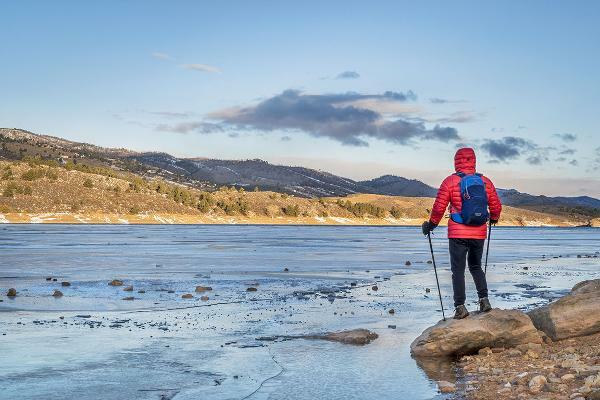 Here are some of the best places to retire in the U.S., and, because everyone is different, a few of the runner-ups from around the country. Retirees don't always relocate, but many do, and for a variety of reasons. Some are looking for a more affordable place to live, others a more active lifestyle in a warmer climate. Some want to be closer to family and grandchildren. There are as many reasons to move as there are lists of where to retire. To find the best of the best, John Brady, president of TopRetirements.com, which has a large database of retirement communities in the U.S., developed this list by culling through some of the most popular places on the site, then evaluating the best 10 based on cultural and recreational opportunities available, climate, expense, taxes, the quality of the downtown areas, and beauty of the area. The first 10 are Brady's "Best of the Best," and we added a few of the runner-ups from various regions of the country. 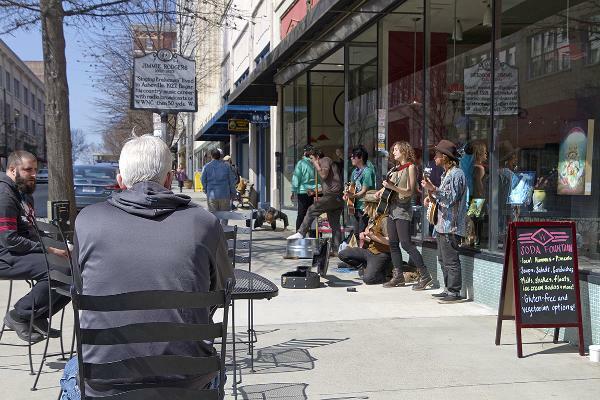 Asheville, a prosperous city of just over 75,000, sits amid the Blue Ridge mountains of western North Carolina. Those who like four seasons will see them here, thanks to the mountains. There is a large number of 55+ and active adult communities. 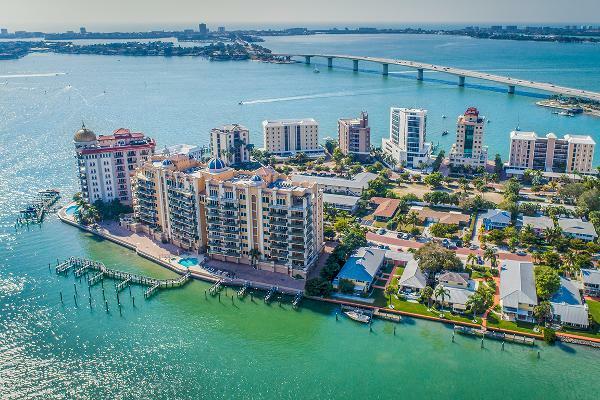 Sarasota has one of Florida's best downtowns and many interesting neighborhoods. It's rich with cultural facilities and has great beaches and developments where retirees can live. Tucson enjoys almost 300 days of sunshine a year, and with 233 performing arts dates a year, it's rich with culture and entertainment. 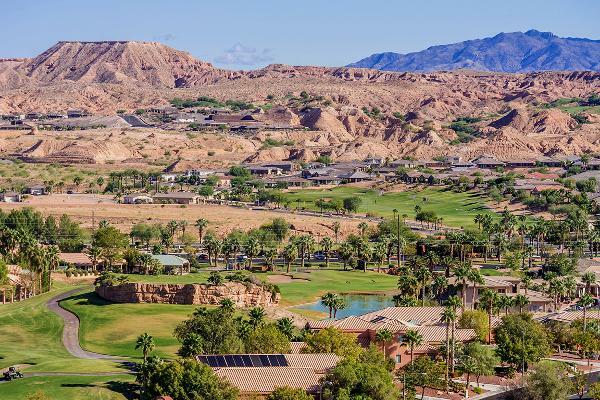 Green Valley is an unincorporated retirement community composed of 59 homeowner associations. It is near the Santa Rita Mountains, above, and just south of Tucson. 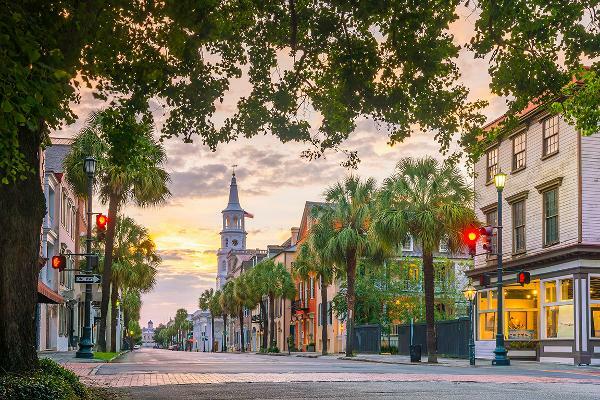 A beautiful city and a top tourist attraction, Charleston is popular among retirees. Its cobblestone streets, horse-drawn carriages and pastel-colored antebellum homes give it its unique charm.The Charleston City Market, one of the nation's oldest public markets, (since 1804) offers galleries, cafes and shops, and has a night market that showcases more than 100 talented artists and craftspeople. 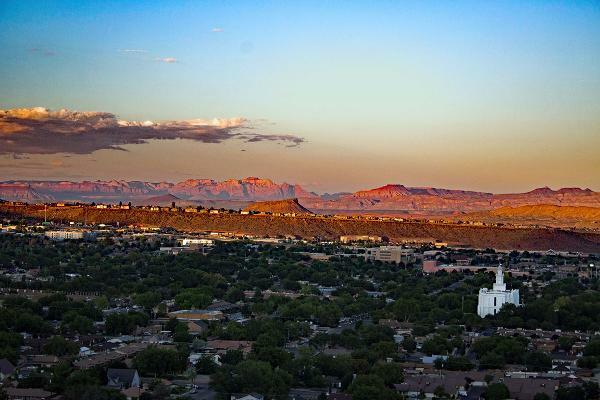 Saint George has spectacular red rock bluffs overlooking the town, a mild climate in winter, and terrific recreational opportunities. 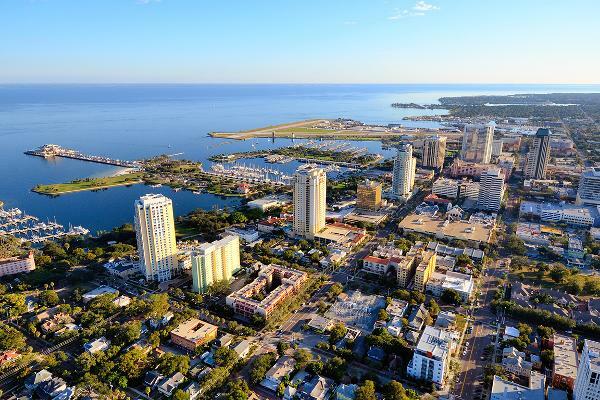 Warm winters, great beaches, and an ideal location on Tampa Bay has made St. Petersburg a popular retirement and tourist destination since the 1920s. Though prices have risen, it is still relatively affordable, with a median home sale price of $235,000. If there was ever a town with momentum it is Bellingham, which keeps popping up on "best places" lists. 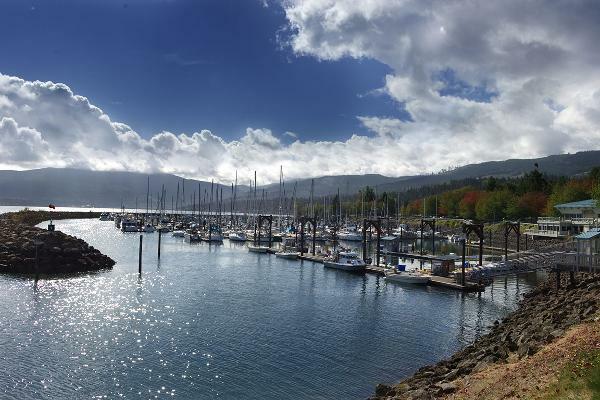 Bellingham boasts stunning natural scenery - from Puget Sound on the west and Mount Baker to the east. If you're wiling to brave the winters, or make the annual snowbird trek to Florida or other warm climates, Maine's largest city is an ideal retirement community, often considered one of the country's most livable small cities. 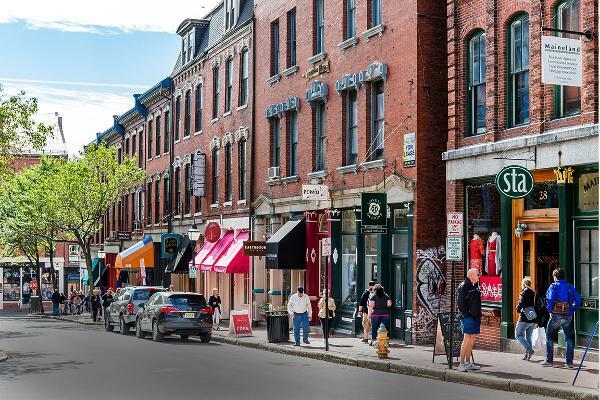 It combines New England history with a vibrant downtown, pristine beaches, good restaurants, and a friendly, small town feel. 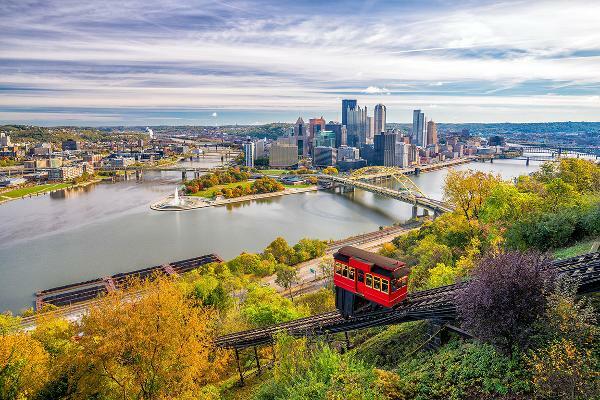 Pittsburgh's many colleges and cultural opportunities earn it a spot on many "most livable" lists. It has a beautiful setting on two major rivers against a backdrop of steep hills. The city has a solid economy, low cost of living, and growing educational, cultural and medical infrastructure. Pensacola is a popular town for retirement and tourism in the western end of the Florida panhandle. Many former military personnel retire here, and the location on the bay gives it access to the emerald green waters and sandy beaches of the Gulf of Mexico. 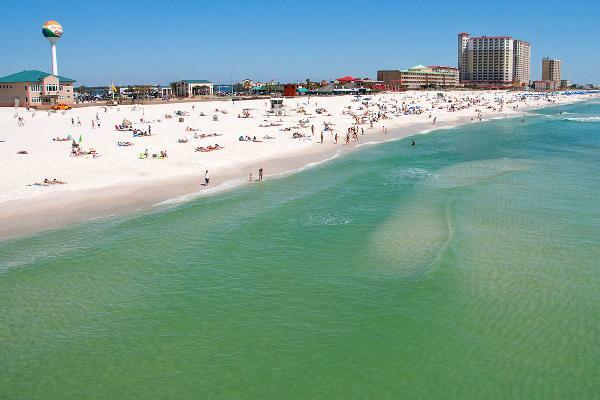 Pictured is Pensacola Beach. Beach and golf lovers will be in heaven here. 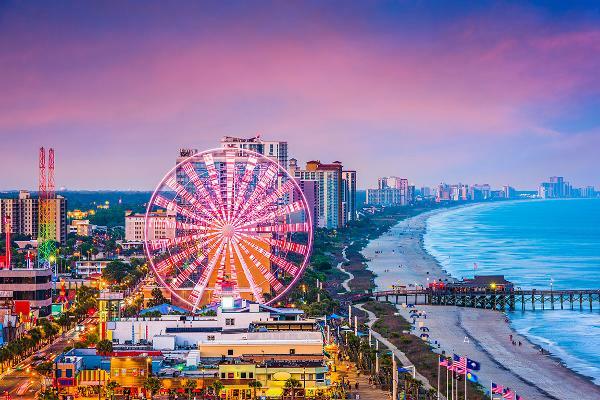 Myrtle Beach has one of the world's longest sections of perfect beach, and over 120 golf courses. It's a hotspot for live entertainment and has a mild climate. 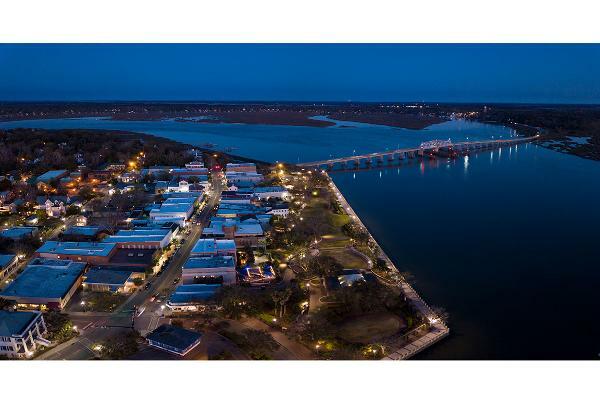 Beaufort has both Old South atmosphere and seaside charm. Horse-drawn carriages roll along streets in the town's charming historic district. 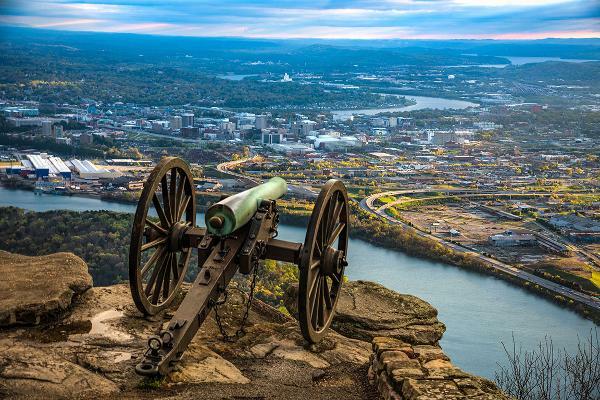 Chattanooga is a low-cost, interesting retirement city in a state considered very tax-friendly (earned income is not taxed). It sits on the Tennessee River and is home to the University of Tennessee. 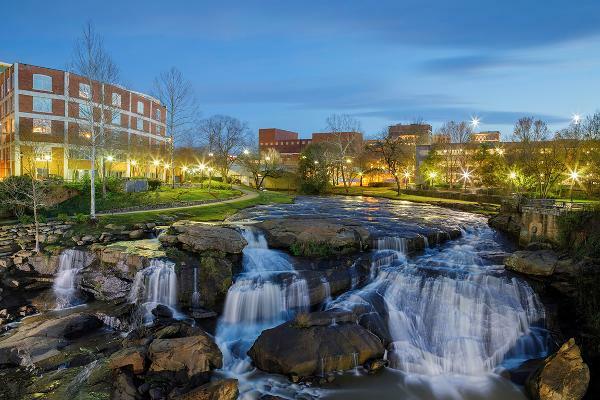 Greenville's pretty downtown has a beautiful park along a river with a waterfall, pictured here, just a few steps from the downtown. 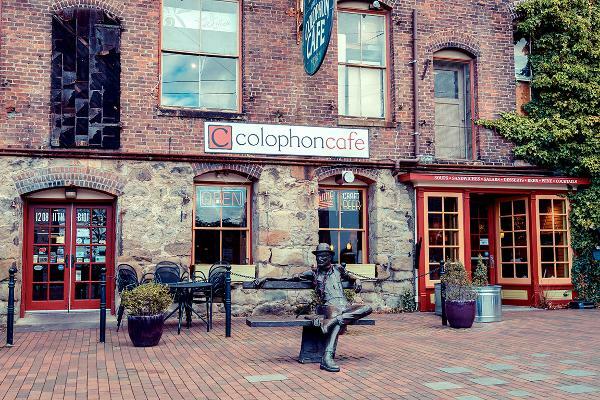 It has great neighborhoods, several colleges and a thriving arts community. 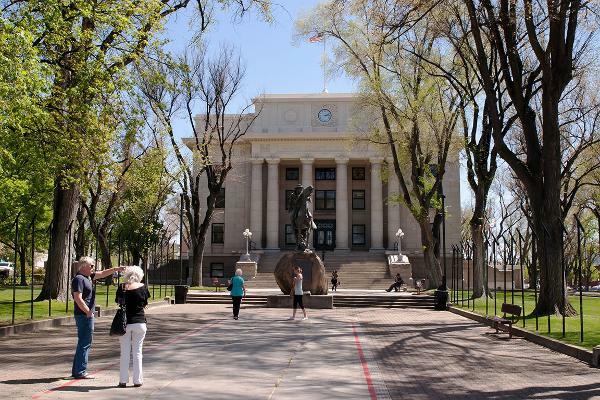 Located in central Arizona at an elevation of 5,400 feet in the mountains, Prescott enjoys breathtaking landscapes and a mild weather, but still has four distinct seasons. Those who enjoy the outdoors will have plenty to do here. Above, Prescott's downtown square and court house. Flagstaff is ideally located not far from the Grand Canyon and other beautiful regions of the state. It is surrounded by mountains, desert and ponderosa pine forests, and has clear skies for stargazing, which is why it is home to the Lowell Observatory. Flagstaff is a top-rated community for retirement. 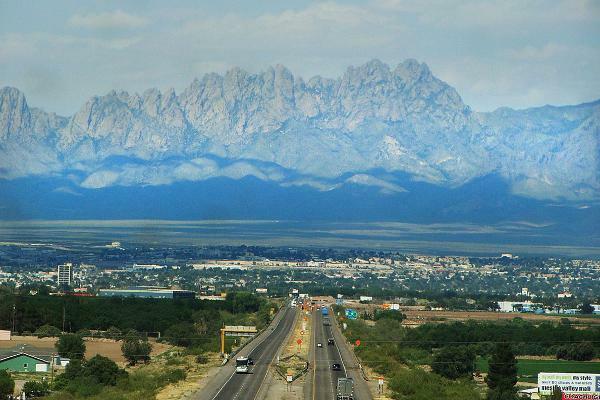 Las Cruces has been listed as a "Best Place to Retire" by several organizations for many reasons: low cost of living, an active cultural lifestyle with its major university, and an unusually beautiful location. 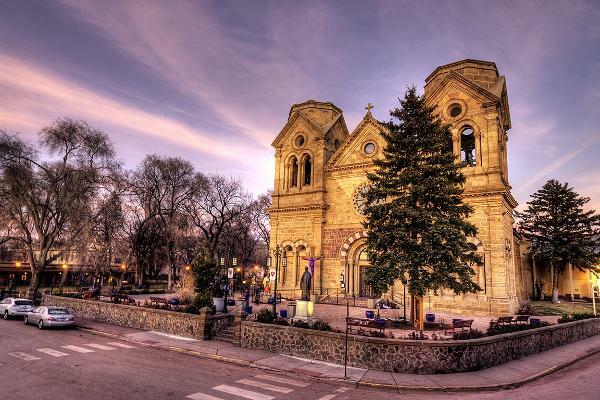 Santa Fe is one of the top cultural destinations in the world. It's a beautiful location in the Sangre de Cristo foothills and it is famous for its Pueblo-style architecture and as an arts community. You can't beat Sedona for natural beauty. The Red Rocks of Sedona are world famous for the colors, especially at sunrise and sunset. 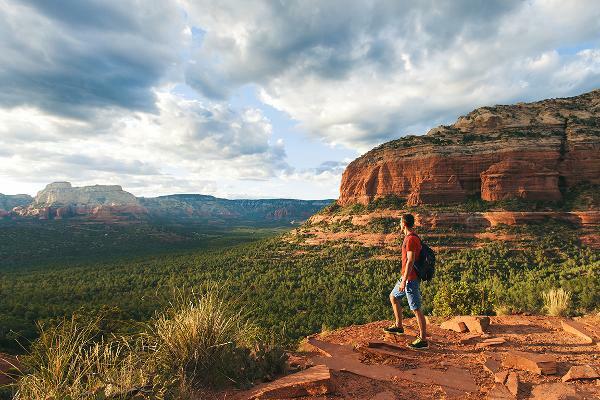 That beauty, combined with the mountains, climate, outdoor recreation and the arts have made Sedona a popular retirement community. The Pocono Mountains, or the Poconos, is a large geographical area in northeastern Pennsylvania, with over 2,400 square miles of natural scenic beauty offered by the mountains, lakes and rivers. The area is growing more popular among vacationers and retirees. 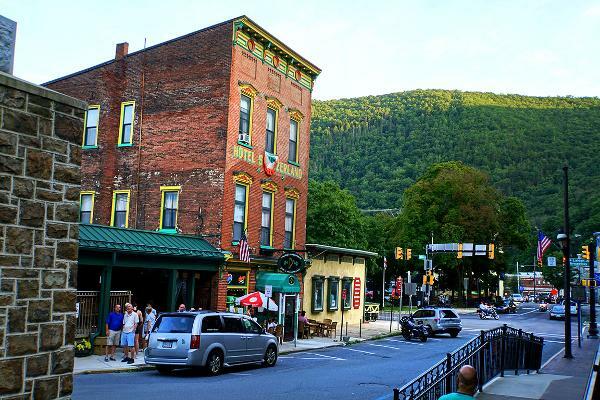 There are several small towns in the Poconos, each offering their own history, arts, festivals and all types of outdoor recreation. Above, Jim Thorpe, Penn., a historic town of about 4,600 in the Poconos, about 2.5 hours from New York City. Cape May is a popular retirement community for people who enjoy the beach, fishing, and a Victorian setting. Only about 4,000 people live here year round; seasonally the population swells to 40,000. 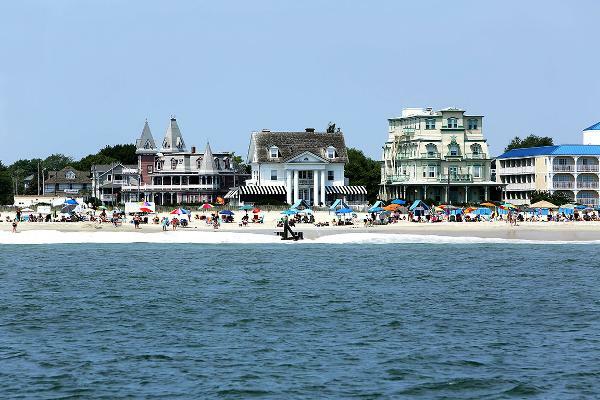 Cape May has the second largest collection of Victorian-era homes in the country, after San Francisco. 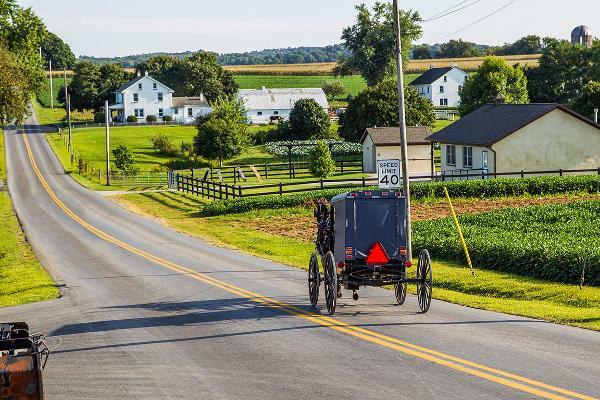 This college town in Pennsylvania Dutch country has a rich history, several museums, and many cultural institutions. Its Central Market is the oldest farmers market in the country and a big tourist attraction because of the Amish goods offered for sale. Lancaster is affordable for retirees, with a median home value of about $133,000. 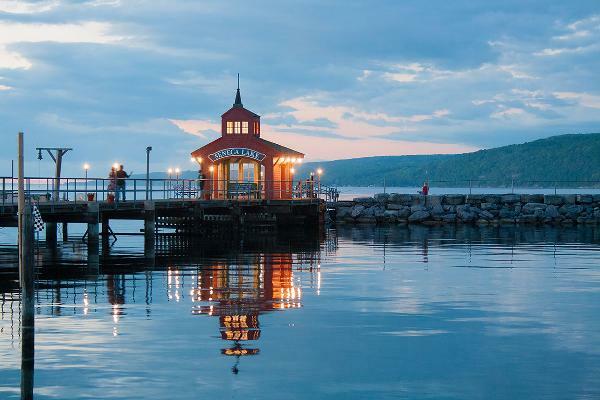 This beautiful region of upstate New York is one of the state's top tourist destinations with its patchwork of rolling hills, lakes, and vineyards. The area has 11 freshwater lakes that resemble the fingers of a hand, situated between the cities of Syracuse and Rochester. Retirees who enjoy the outdoors will find plenty of opportunities for kayaking, fishing, and hiking here. For wine enthusiasts, it is the state's top wine producing area. 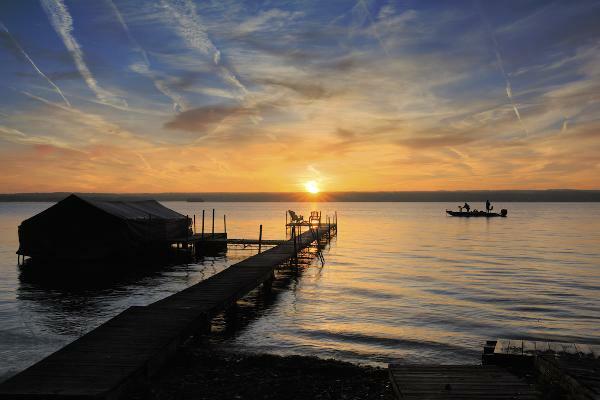 Pictured is Seneca Lake at Watkins Glen, N.Y.
Ithaca sits on the shores of one of New York's Finger Lakes. 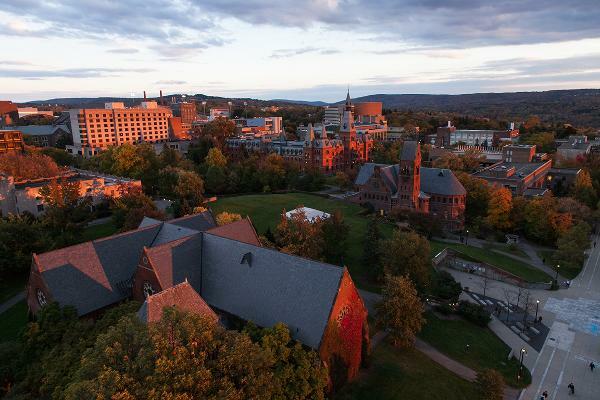 Home of the Ivy League's Cornell University and Ithaca College, it merits its own mention as a retirement community for active adults who would enjoy living in a bustling and charming college town with walkable neighborhoods and lots of cultural opportunities. Sequim is popular both with retirees and with people looking for second homes. The town has has won numerous awards as a great place to live and retire. 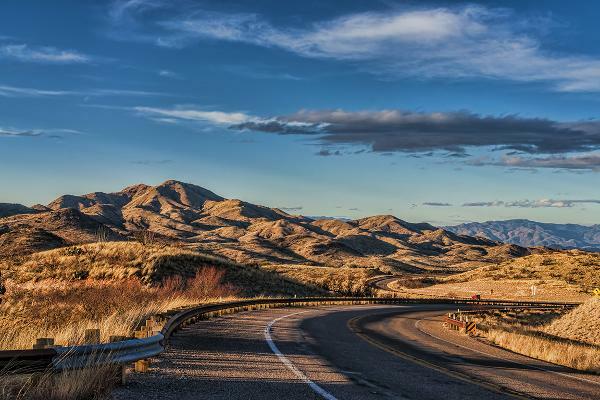 This city of almost half a million is south of Denver, and is a popular retirement community thanks to its spectacular scenery, abundant sunshine, and conservative values. 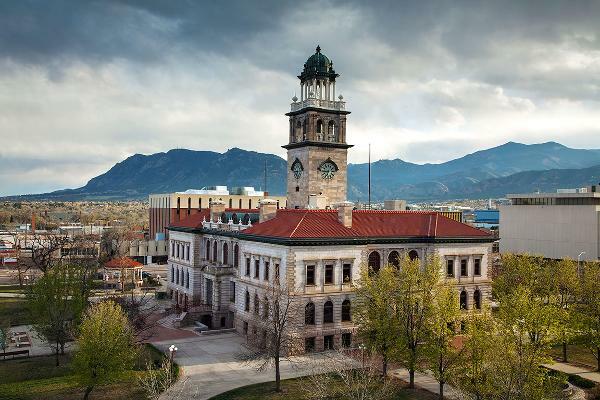 Fort Collins has low crime rates, many outdoor activities, and is home to a University of Colorado campus. Above, Horsetooth Reservoir near Fort Collins. 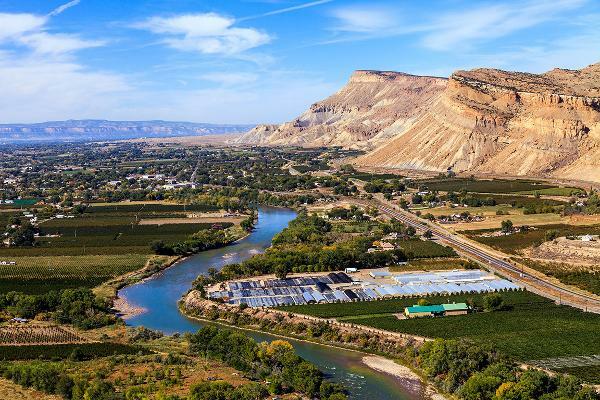 Grand Junction is a college town near the Utah border in Colorado's Western Slope region. It has a pleasant downtown, and natural beauty and recreation are abundant here. 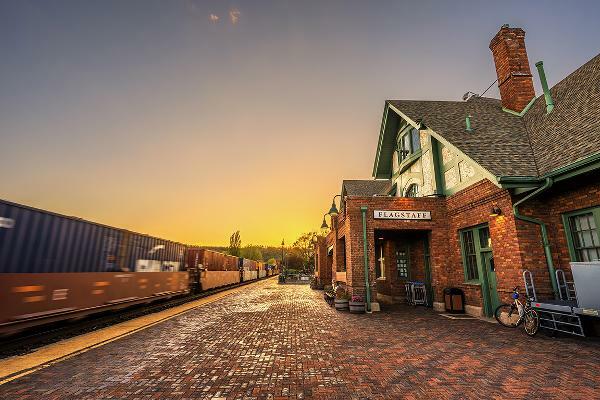 It's known as a hub of Colorado's wine country. Casinos arrived here in the 1970s. 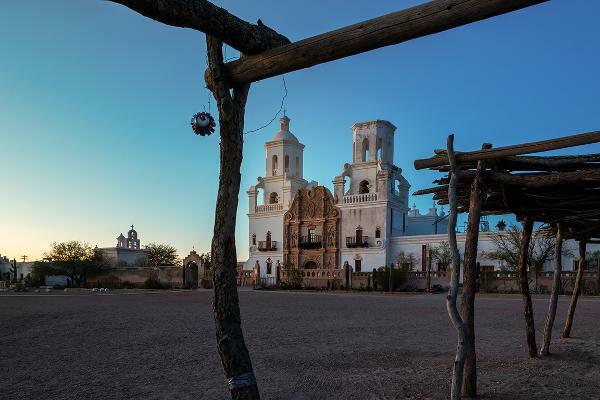 The town of just under 20,000 bills itself as a low-key alternative to Las Vegas. Mesquite is a popular retirement town, and close to both the Arizona and Utah state lines. There are several golf courses here.